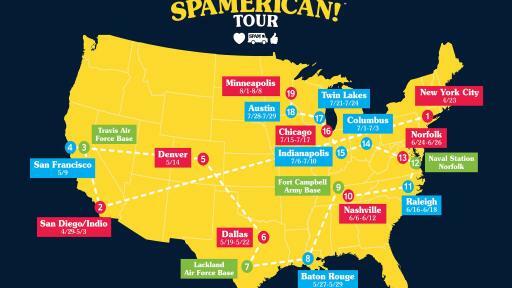 The Makers of the SPAM® brand are taking their gratitude on the road with the return of the popular SPAMERICAN™ Tour, thanking all of the chefs, fanatic fans and military for 79 years of support. 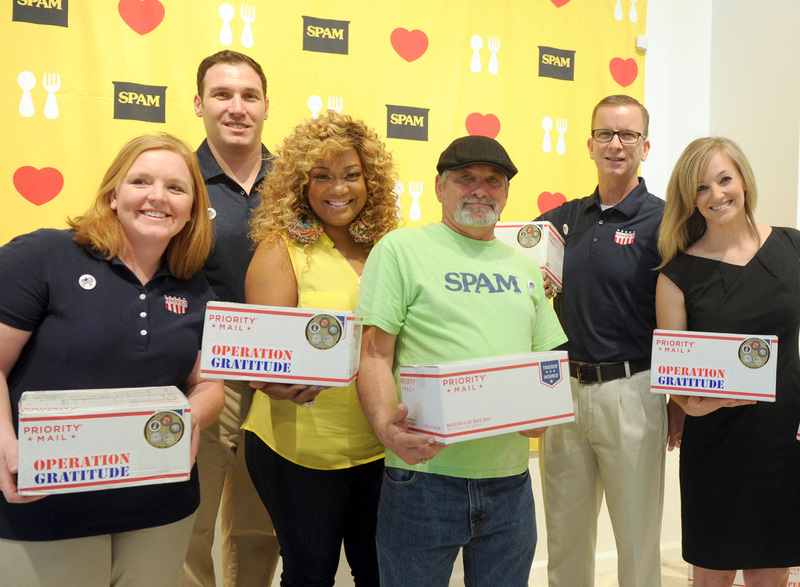 Back for another coast-to-coast culinary journey, this year the brand is partnering with Operation Gratitude to bring their letter writing campaign into 16 communities, and supporting its goal of sending the 2 Millionth Care Package in 2018- by pledging a $1 donation for every letter written in-market and online at SPAM.com. Each letter will be included in a care package, assembled by volunteers, and sent to troops deployed overseas, as well as to new recruits, veterans and first-responders here at home. 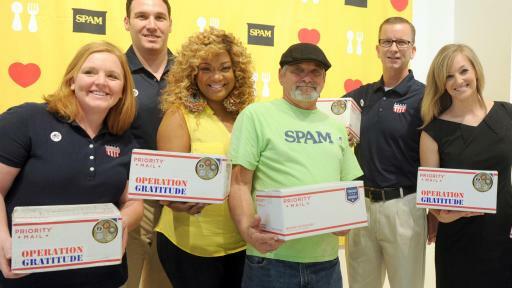 Food Network Host and US Air Force veteran Sunny Anderson is once again joining the tour, supporting the Operation Gratitude cause and showcasing her new recipe: Operation SPAM® Gravy with Biscuits. 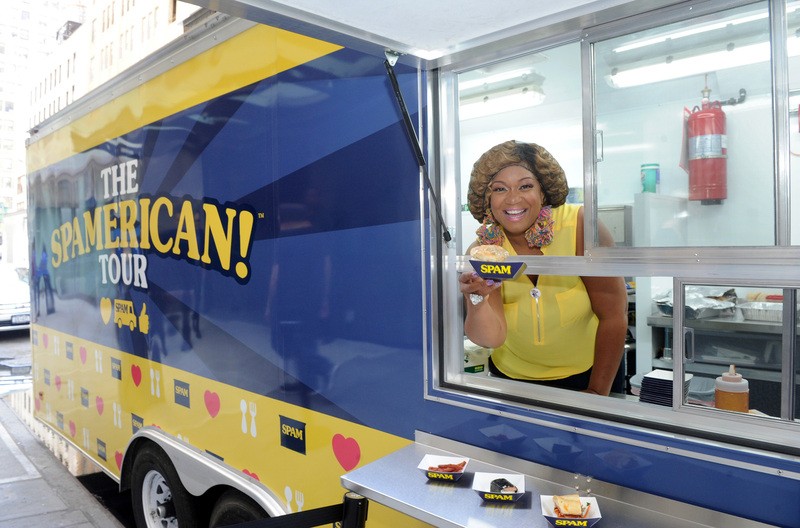 Following the launch in New York at the Tribeca Film Festival, the SPAMERICAN™ truck will stop at military bases and popular community events in San Francisco, Dallas, Nashville, Chicago and more. 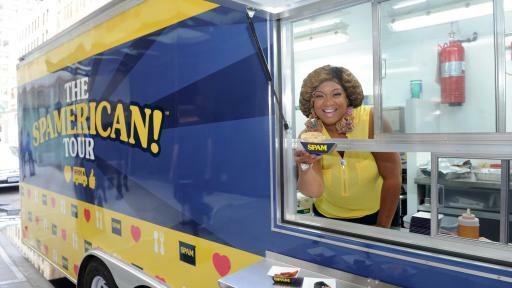 Along the tour, communities will be treated to complimentary, on-trend recipe samples created by local chefs, including the “Father of Southern Cuisine” Dean Fearing, James Beard pastry chef Gale Gand and noted TV chef Chris Kyler. 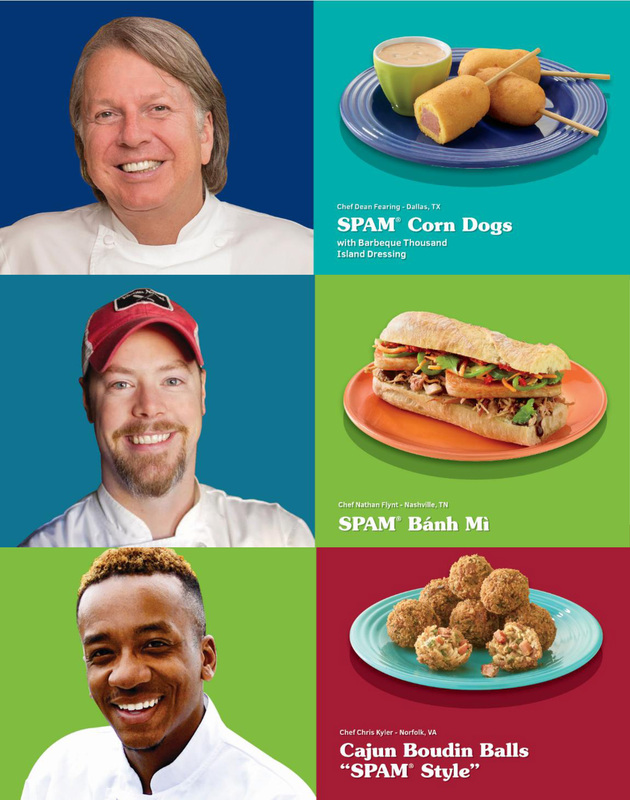 Anderson’s dish will be served across the country alongside other unique dishes, including Cinnamon Crusted SPAM® Waffles with Apricot Jam Drizzle, Barbeque SPAM® Jalapeno Tacos with Pineapple Salsa and SPAM® Bánh mì. 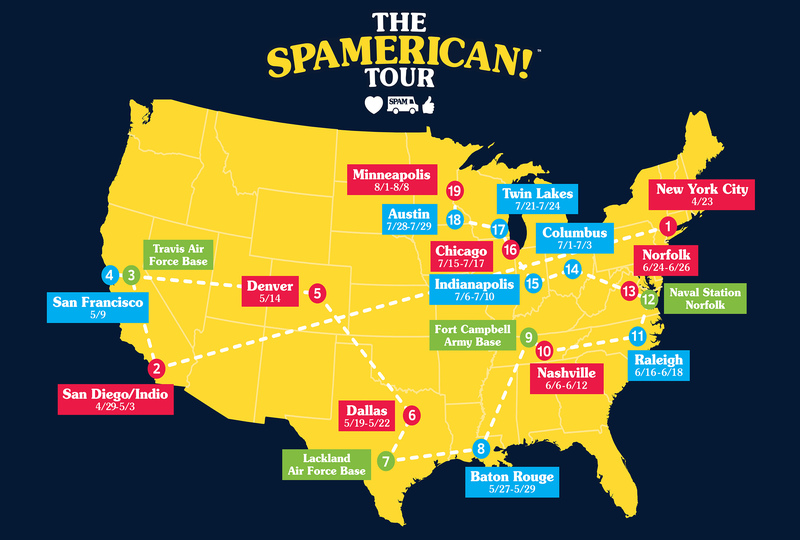 For more information about the SPAMERICAN™ Tour schedule and stops, please check out www.SPAM.com/tour, and join in the #SPAMCan conversation at www.facebook.com/spambrand, www.youtube.com/spambrand, www.twitter.com/SPAMbrand or @SPAMBrand on Instragram. 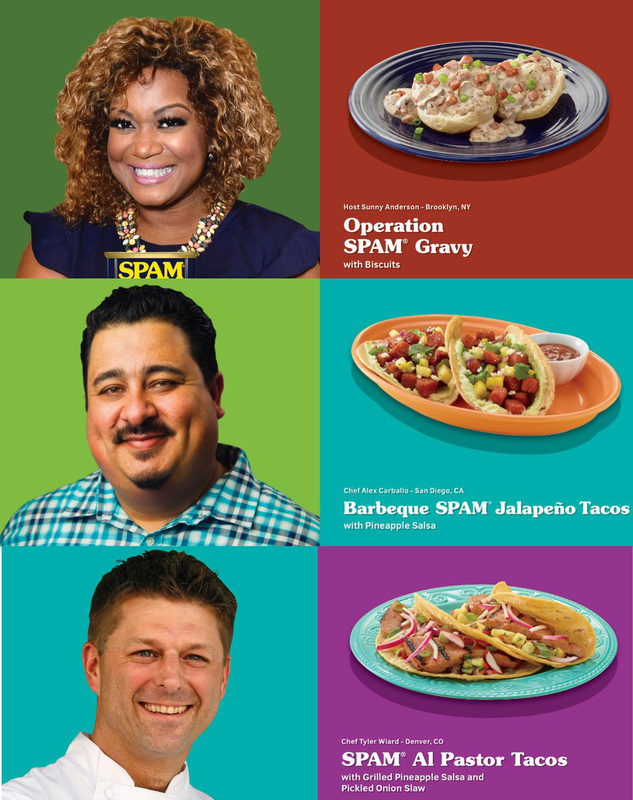 For more information about Sunny Anderson’s signature SPAMERICAN™ dish, check out the full recipe at www.SPAM.com/tour. Hormel Foods Corporation, based in Austin, Minn., is a multinational manufacturer and marketer of consumer-branded food and meat products, many of which are among the best known and trusted in the food industry. Hormel Foods, which leverages its extensive expertise, innovation and high competencies in pork and turkey processing and marketing to bring branded, value-added products to the global marketplace, will celebrate its 125th anniversary in 2016. The company is a member of the Standard & Poor’s (S&P) 500 Index, S&P 500 Dividend Aristocrats, and was named one of “The 100 Best Corporate Citizens” by Corporate Responsibility Magazine for the seventh year in a row. Hormel Foods also received a perfect score on the 2016 Human Rights Campaign Corporate Equality Index, was recognized on the 2016 Best for Vets Employers List by Military Times, and was named one of the 2016 Best Companies for Leaders by Chief Executive Magazine. The company enjoys a strong reputation among consumers, retail grocers, foodservice and industrial customers for products highly regarded for quality, taste, nutrition, convenience and value. For more information, visit http://www.hormelfoods.com and http://2014csr.hormelfoods.com/. 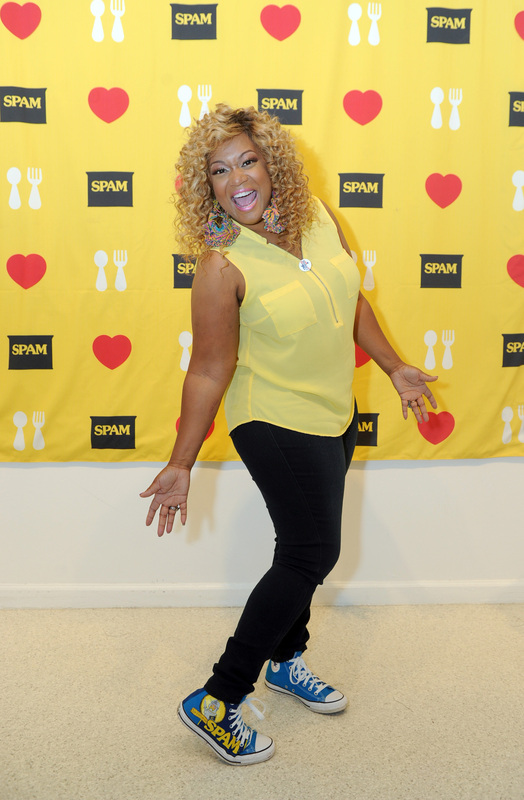 Sunny Anderson is a Food Network host and author of a New York Times Best Seller who has been a long-time SPAM® brand fan. While growing up traveling the world, Sunny’s parents encouraged her to indulge in the local cuisine, which she continued to do after beginning her career as a radio broadcaster and journalist in the Air Force. Her cooking style combines classic comfort foods along with unique flavors inspired by her many travels. 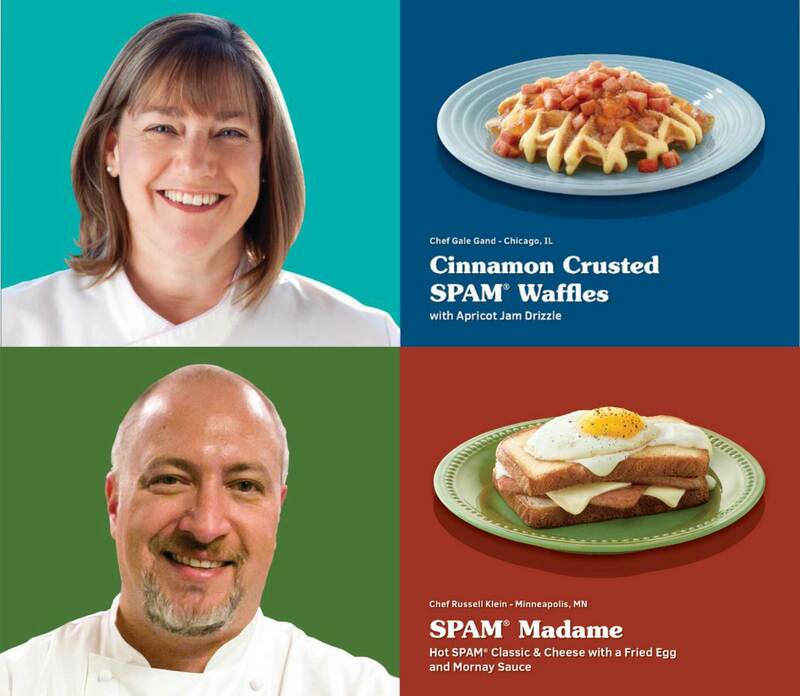 Serving as ambassador for the second year of the SPAMERICAN™ Tour, Sunny has created two unique recipes for the Chef-curated Food Truck menu – Coconut SPAM® Spears with Spicy Pineapple Chutney and Operation SPAM® Gravy with Biscuits.